Treat someone special! Choose a gift voucher to use against any item, or course in store. Or a gift voucher for one of our amazing cake decorating and sugarcraft courses. Please note: Gift Vouchers can only be redeemed in store, not via our online shop. Gift vouchers are valid for one year from purchase, you can have your vouchers posted out to you or collect in store, please make a note of your preference when ordering. Vouchers are non-refundable, non-transferable and have no cash value. They can be purchased for a specific course or alternatively purchased in multiples of £5. Vouchers can be collected in store or posted to your UK address. The same terms still apply for courses when being purchased via voucher which are: course times may vary depending on experience levels and learning speeds within the class. 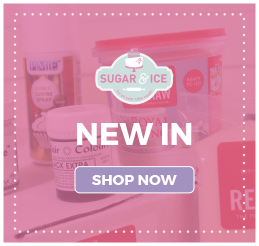 The equipment provided to complete courses are the property of Sugar & Ice, the sole purpose of this equipment is for the completion of this course and will not be given away to attendees upon completion of the course. However should you wish to purchase any new equipment, you will be entitled to a 10% discount on these items on the day of your course only (this discount excludes any additional payment required for your course). The courses are all booked on a first come, first served basis. Customers are required to pay a £20.00 deposit to secure a place on any course, payments include credit/debit cards, cash and gift vouchers. Should cancellation of a course booking be required you may lose part of, or all of, your deposit. Cancellations within two weeks of the course start date will be refunded a maximum of £10 deposit, you may reschedule a course as opposed to cancellation at no charge. Cancellations within one week of the course start date will lose the entire deposit (£20), you may reschedule a course as opposed to cancellation at no charge. In the unlikely event that we have to cancel your course due to unforeseen circumstances (such as tutors falling ill or you are the only person booked) you will be contacted as soon as possible to arrange an alternative date, or a refund. We endeavour to never cancel courses, however in some circumstances we cannot run a course with less than 2 attendees therefore sometimes it is necessary. 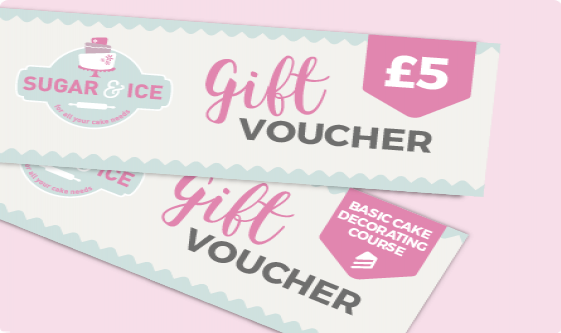 If you opt to refer a friend to a Sugar & Ice course, you and your friend will receive a £5 gift voucher each upon completion of the course, this can be used for any payment in store and are valid for one year from date of receiving.